Limited Availability – First Come, First Serve. in Banning Lewis Ranch ! 1. Register for the Event Below: RSVP here or call 719-380-5092 to register for the event. 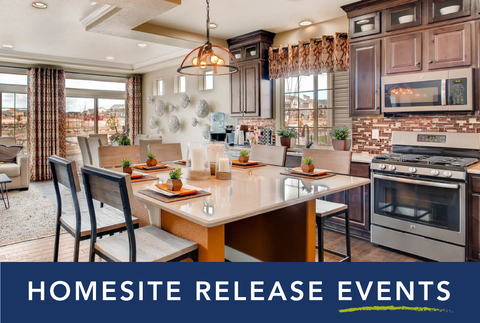 You must RSVP to be eligible for our homesite selection priority list. 2. Pre-qualify with Nest Home Lending: We require all buyers to be pre-qualified prior to the event. Our priority list is based on the date/time stamp of your Nest Home Lending pre-qualification documents. 3. Attend & Choose Your Home: In order to select your homesite, you must be present at the homesite release. Please arrive 15 minutes prior to start time to sign in. Our priority list with positions will be announced at the homesite release. Bring all pertinent documentation of pre-qualification. Please contact a New Home Counselor for deposit requirements.